The 8th ASP-Laguna Friendship Games took place at the Nuvali Football Field in Sta. Rosa City took place on 8 February 2014. Selected trainees and apprentices from the Autism Resource Center joined in this annual one-day sporting event. It started as early as 7:00 a.m. when the registration process took place as a total of eleven teams vied in more than ten sporting events. Laguna-based schools that tool part in the fun-filled day included Field of Little Hands School Inc., Child and Teens Success Intervention Center, Autism Resource Center, Liliw Intervention Center, Shepherd of Faith SPED Center, Hope Intervention Center, GS Option House, Paete Intervention Center for Autism and Related Disorders (PICARD), Calamba City SPED, Work of Heart Child Center, and Child Formation Center. These institutions are based in San Pablo, Calamba, Biñan, Santa Rosa, Los Baños and Paete. This year’s event was hosted by the Work of Heart Child Center. The Oath of Sportsmanship was headed by Arlene Humarang, a mother; Emmanuel Zamora, a PWD; and Teacher Eric Cuenca of Hope Intervention Center. Allison Dave Albert Lareza led the national anthem and the lighting of torch was spearheaded by representatives of all participating schools. The doxology was led by a group of students from the Work of Heart Child Center. 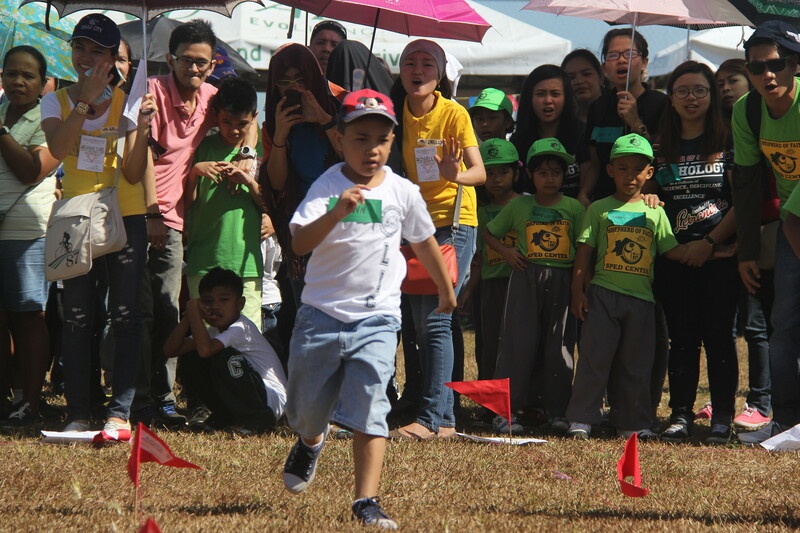 A total of 412 students participated in more than 10 sporting events, divided into categories based on age. Some of the events are the 25-meter walk relay with assistance, 25-meter walk relay without assistance, tug-of-war, 50-meter-run with assistance (boys and girls), 50-meter run without assistance (boys and girls), sand relay, tug-of-war, tire relay, coin bank relay, balloon popping, tied legs (garter) relay, puzzle relay, sack relay, straw relay, badminton, dance contest, poster making contest, Little Mr. and Miss Friendship for 12 years old and below and Mister and Miss Friendship Games for 12 years old and above. This year’s theme is about the rights of persons with autism. Franco Cagayat, a sculptor from Paete, was one of the judges in the poster-making competition. The elections of ASP Laguna also took place during the event. The new sets of officers were introduced during the closing ceremony of the games. GS Option House served as this year’s grand winner. Hope Intervention Center, Autism Resource Center, Child and Teens Success Intervention Center received the first-runner up, second runner-up, and third-runner up titles respectively for their dedicated team efforts in all the games and activities.